Regardless of whether you have a small garden, a huge garden or no garden at all, there should be no excuse for not growing your herbs. 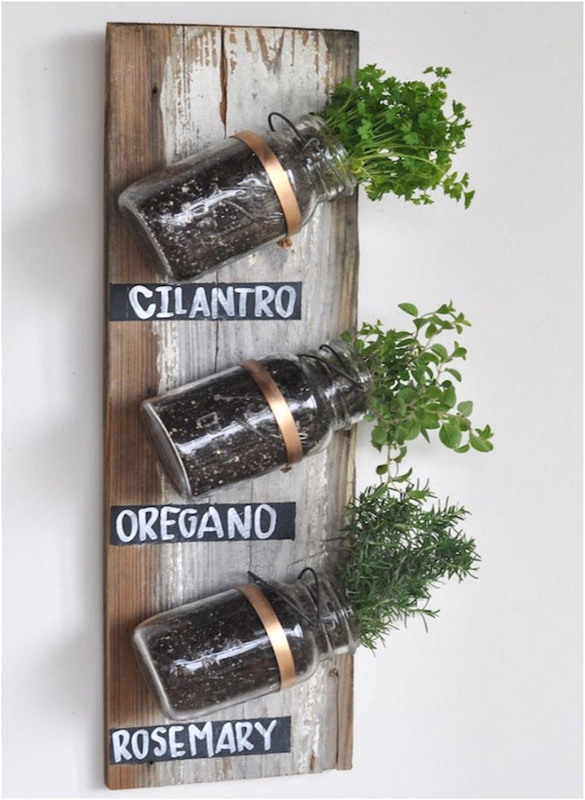 They’re very easy to maintain and there truly is nothing better than picking your very own fresh herbs right in your home. 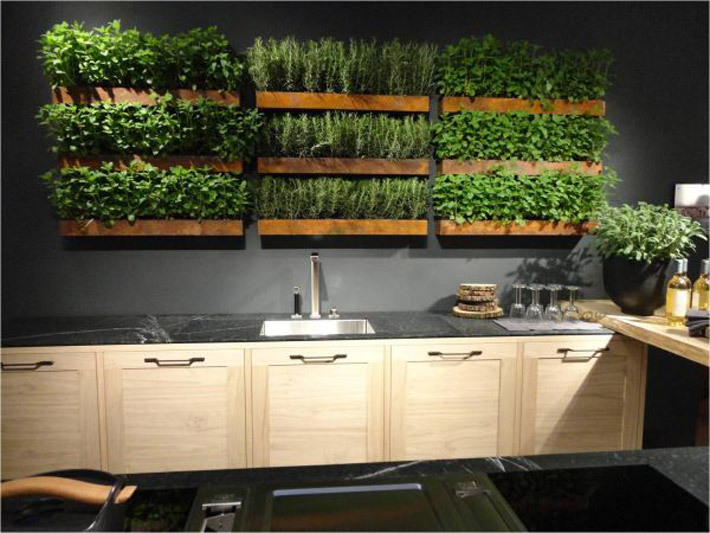 You can build a big garden feature or a subtler indoor hanging garden or wall; either way, an herb garden won’t only provide you with fresh produce and delicious food, but it’ll also brighten up your home. 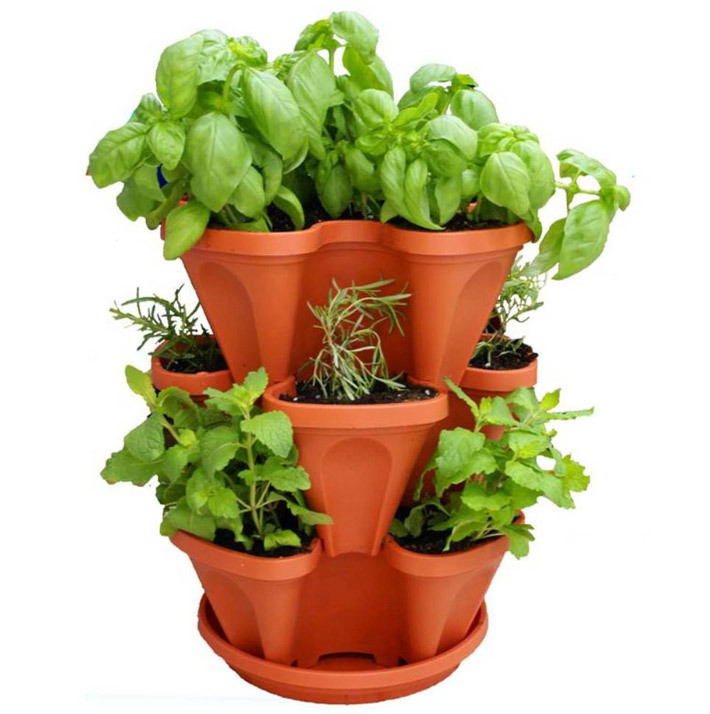 And don’t even get me started on the wonderful smells that will be emanating from your little plants! 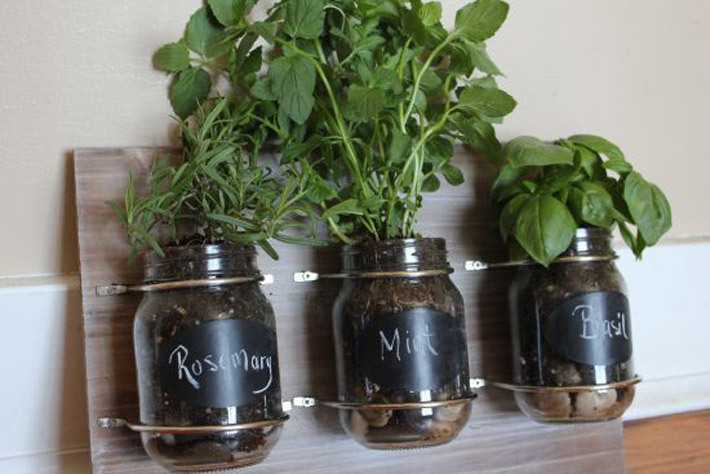 Here’s proof that a lack of outdoor space shouldn’t stop a green thumb. 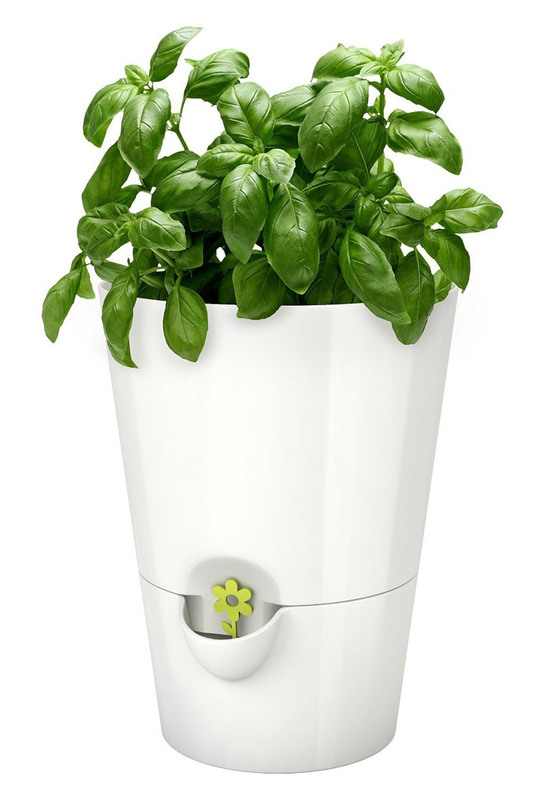 Grow your basil and parsley right by the stove using one of these inventive solutions. 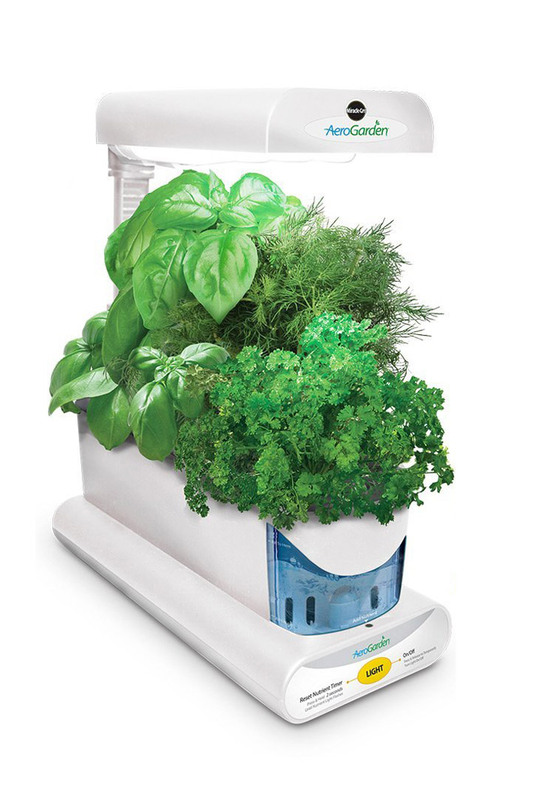 It’s like a Keurig, but for herbs. 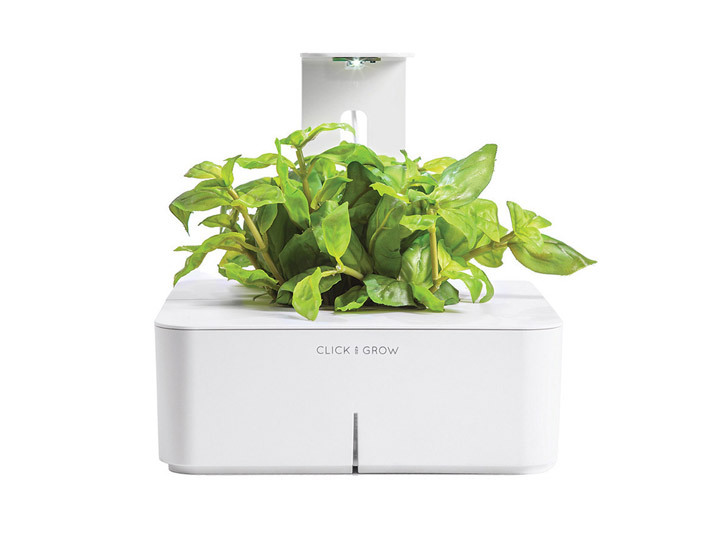 Just pop in the plant cartridges, and the “smart garden” does the rest. 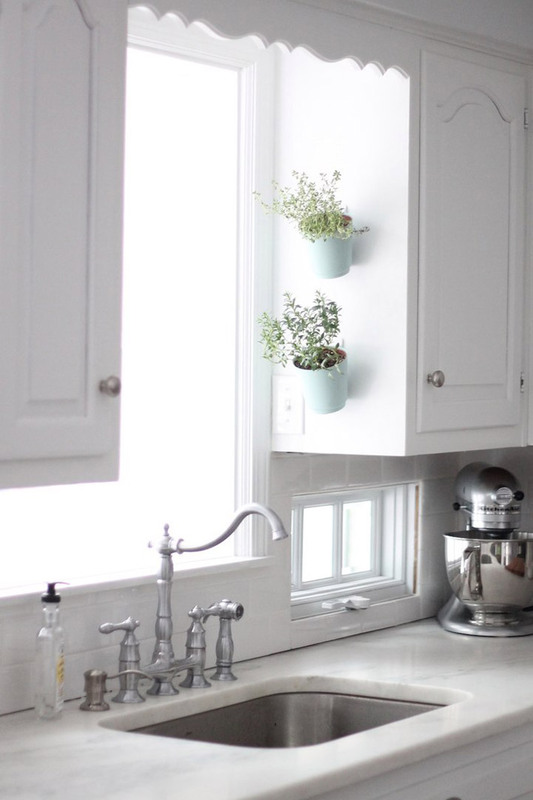 Angling pots over the sink makes use of ample kitchen window light (and the “short wall” on the side of a cabinet). The key to successful herb growth is simple: light. But even if you have a free window, you might not have enough sill space. 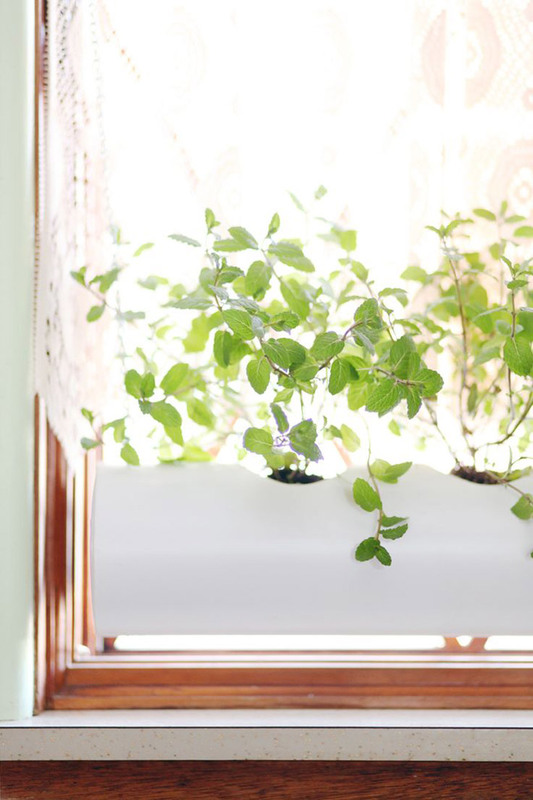 This inventive solution uses PVC pipe to create an in-window planter. 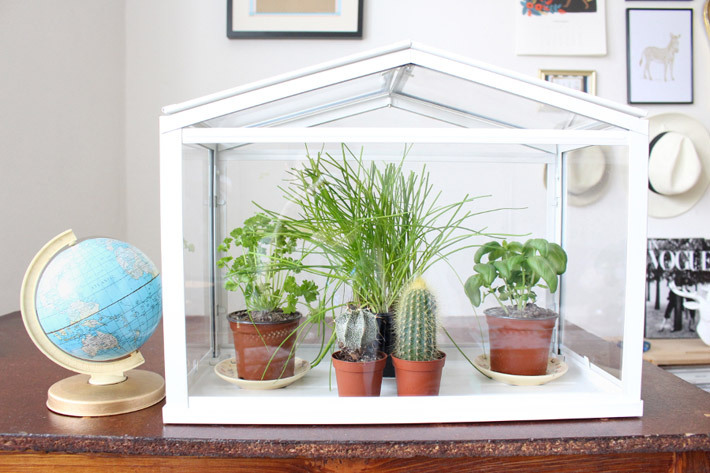 The Socker from IKEA makes an affordable mini-greenhouse for herbs. Limited counterspace? This cute cup also monitors H2O, but doesn’t hog the kitchen outlet. 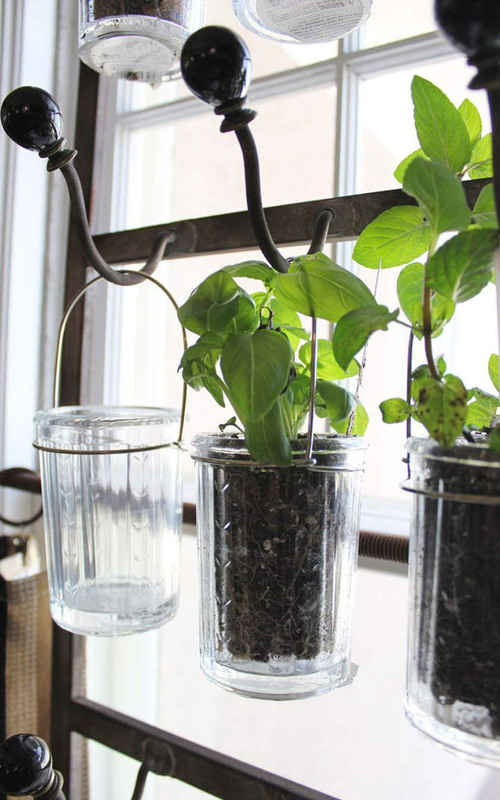 Here’s another window solution: Pot your herbs in clear drinking glasses, and hang from hooks across the window. Believe it or not, but some herbs don’t need soil at all. 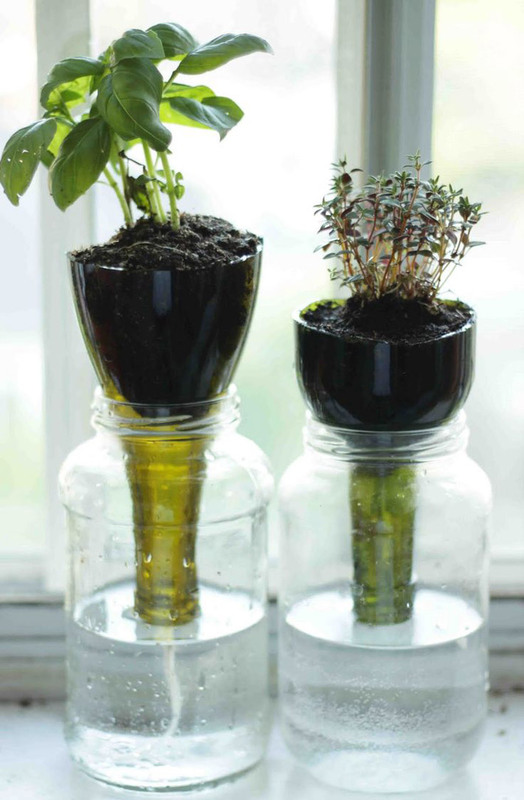 These plants grow exclusively in water, meaning less mess to worry about. 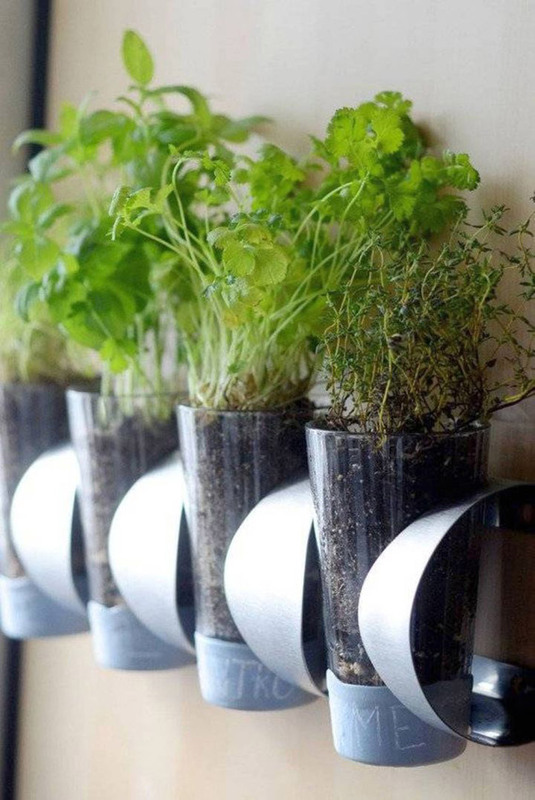 These self-irrigating planters are totally DIY-able — and a great way for lazy gardeners to enjoy fresh herbs all winter. This homemade display requires nothing more than some pint glasses and an IKEA Vurm wine rack. 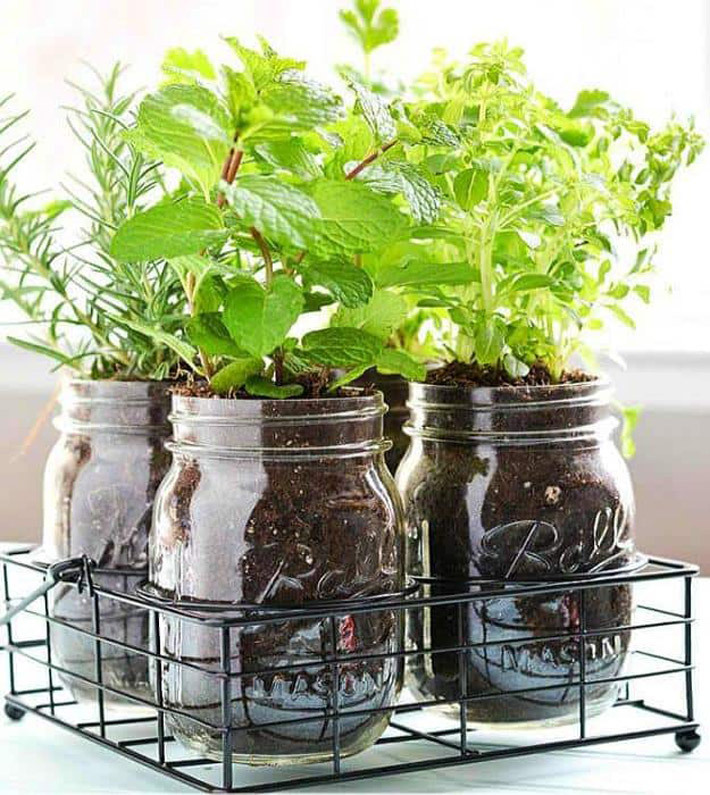 Mason jars may be a cliché, but we gotta admit: They’re tailor-made for an indoor herb garden and crazy-easy to assemble. Go old school and plant seedlings in an actual planter. This one stacks up as high as you can harvest. Mason jars not your thing? 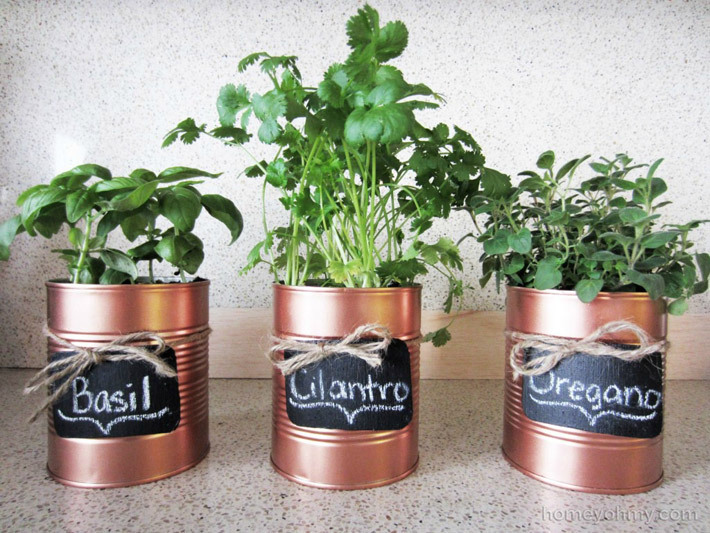 Here’s a tin can solution that’s just as cute. 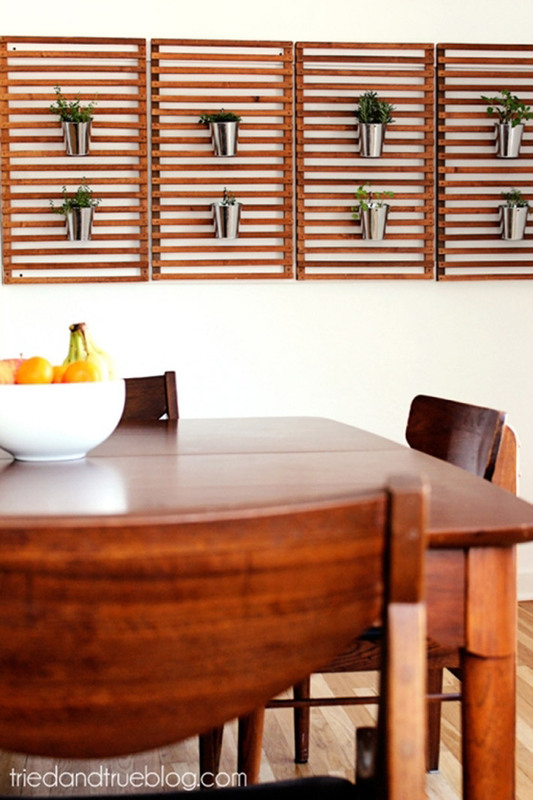 If your home style is more mid-century mod than shabby chic, try hanging your planters on the wall. Here, galvanized tins hang on slatted room dividers. 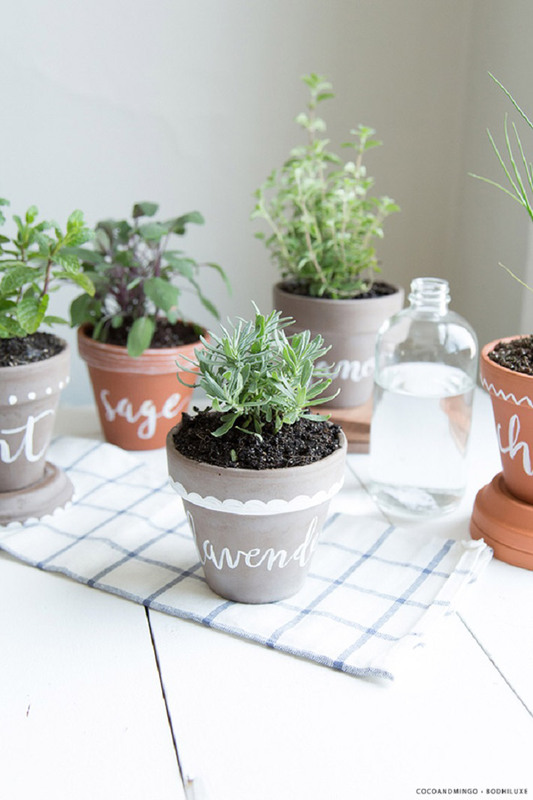 Painted labels on classic terracotta pots will prevent you from accidentally throwing in sage when you needed a handful of basil. 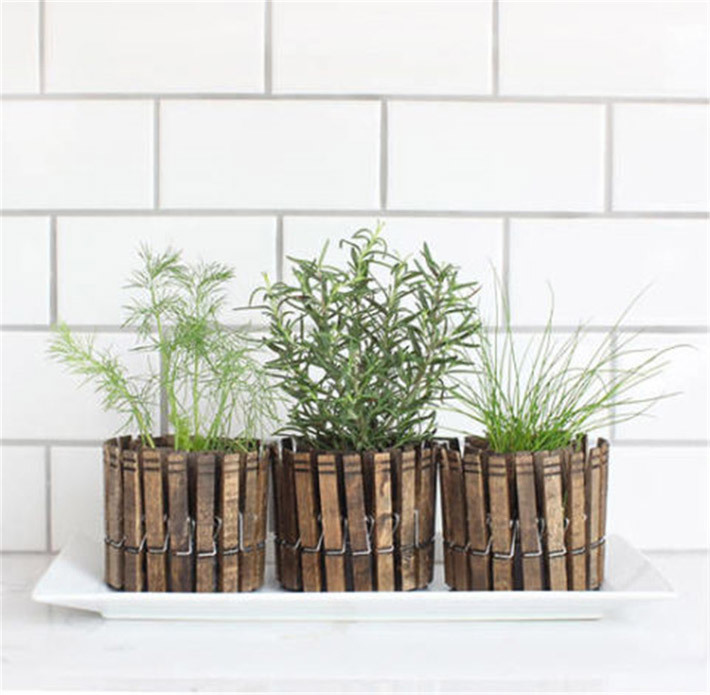 These stained-clothespin planters are a super-cute way to display your herb collection.